Tuberculosis (TB) was a major cause of death for Māori until the second half of the 20th century. 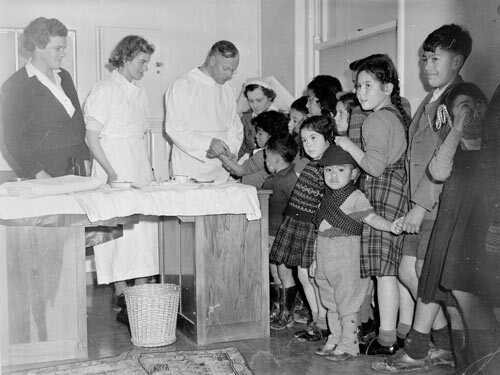 Immunisation programmes, first started in the 1930s, had a positive impact after the Second World War as more and more Māori were immunised against this disease. By the early 1960s TB was no longer a significant cause of death in the Māori population. These children – all of whose parents suffered from TB – are being immunised in 1950.